Congratulations to tour winner Bernie W. and to host winner Punya Reviews. 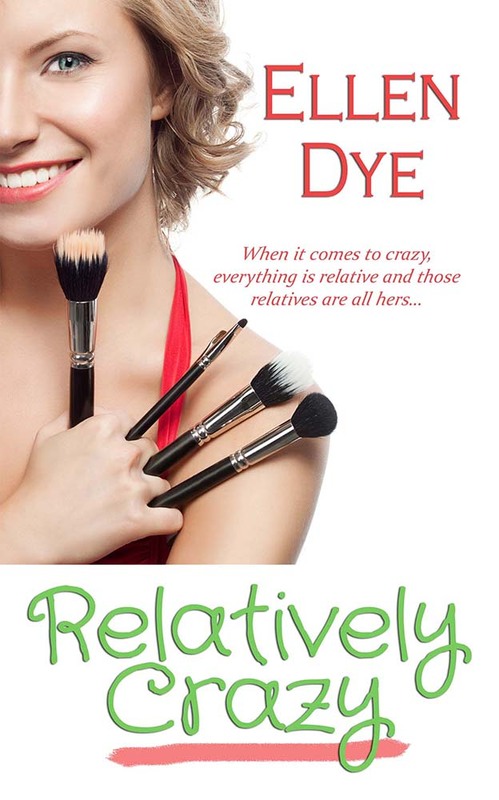 Goddess Fish Promotions is organizing a Virtual Blurb Blitz Tour for Relatively Crazy by Ellen Dye, a Women's Fiction/Romance available December 6 from The Wild Rose Press. The tour will run December 11 - January 12, and this tour will not include interviews or guest blogs; however, a blurb, excerpt and author bio will be provided to every host for inclusion on their blog. Review copies will be available soon. Ellen Dye will be awarding a $25 Amazon/BN GC to a randomly drawn winner via rafflecopter during the tour, and a $25 Amazon/BN GC to a randomly drawn host. Laurie's Thoughts and Reviews would love to host on Dec 22nd. Locks Hooks and Books can do Dec 18. Sherry @ My Reading Journeys. Dec 15 or 21, whichever works best for you. I can host this blurb blitz on December 14. I could host on January 9th, on Nickie's Views and Interviews. I can host on Sharing Links and Wisdom on December 20. I'll host Jan 3 or any of the other dates in January. I can host on 21 December at Beyond Romance.